Thermoshield Wood & Deck Coat is a water-based sealant that provides both water resistance and protection from UV rays. 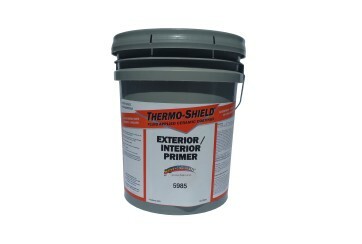 Tests have shown that it is effective at prolonging the life and preserving the quality of wood decks, and that its proprietary mixture of resins and bonding agents can outperform standard deck stains and coatings. This is an extremely useful coating for people with wood decks. As water soaks into unprotected wood surfaces, they expand and become bloated. Sun and dry air then pull moisture out of the wood, sometimes causing the surface to crack or splinter. 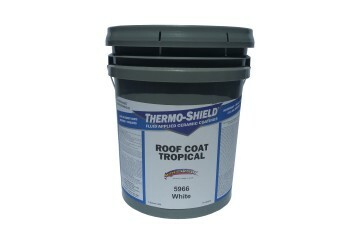 Wood & Deck Coat can stop this cycle of expansion and drying that causes decks to warp, become discolored and crack. 1. UV Protection. UV Block is a special additive that is designed to protect against the rays of the sun, which can cause drying, cracking and discoloration. 2. Moisture Resistance. Wood & Deck Coat penetrates into the deck surface, providing a clear finish that resists water while also allowing the wood to breathe. 3. 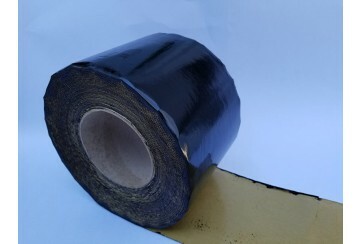 Deep Penetrating Acrylic Latex Resins. 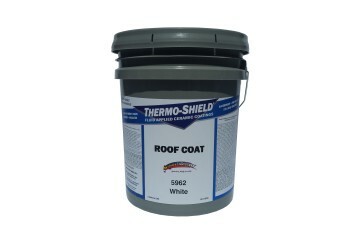 The resins in Thermoshield Wood & Deck Coat bind wood fibers together to provide sealing protection. This bonding action works with both old and new wood. This is how Wood & Deck Coat can rejuvenate older decks. 4. Thermoshield Wood & Deck Coat protects all types of wood from damaging water penetration. This includes pressure treated wood. Surface preparation : All surfaces must be clean and free from dust, dirt, oil, grease and paint. 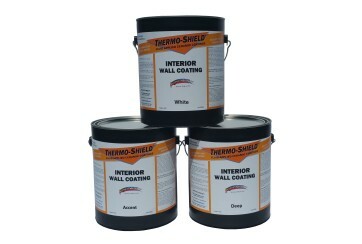 Coverage for two coats: 18.6 to 32.5 m² per gallon per application. 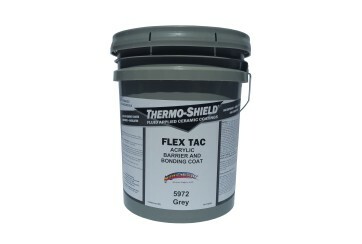 Store unused pails between 1 degree C and 30 degrees C.
This product is not intended for use as a furniture finish or interior paneling finish coat.